Synopsis: This mini-love-lesson explains the importance and effects of both good and bad ‘start’ and ‘part’ love actions with short, real-life examples. How Are Your Start and Part Dynamics? Sheila and Kim both were looking forward to getting home after work and being with each other. Sheila had a really hard day and was desiring comforting love. Kim’s day was pretty boring and Kim was all geared-up for more exciting love. Soon after they met each other everything seemed to go wrong. Sheila had imagined a soft, tender, slow start to their evening. Kim had fantasized an exciting greeting, active playfulness and behaved accordingly right away. Then Kim saw that Sheila’s face looked disappointed and with displeasure responded with sour tones of voice. The evening was ruined for both of them. How could things go so wrong when both started toward their time together with thoughts of love? What could they do to stop this from happening again? How could they both get what they wanted with one another when they were in such different emotional places? As you can see from the above example, how you start and also how you part can have a great amount of influence on how loving people spend time together. If you have been away from each other, even for just a few hours, you may both be in very different, psychological places when you come back together. If you re-enter each other’s space without lovingly greeting and coordinating with each other, you may clash and crash, or at least miss-out on what might have turned out to be good time with each other. Like singing a duet together, you both have to start by singing the same song or you just make noise, not music. 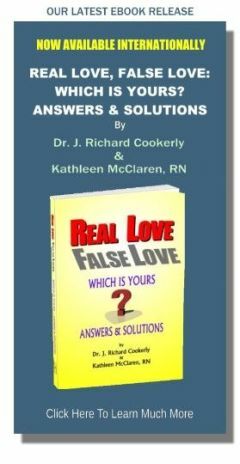 Sheila and Kim learned they have to start with ‘lovingly checking-out’ how the other one is feeling and what the other one is wanting, before they start acting from their own agenda, even though both agendas might be love-oriented and generally good. A good hug and kiss, and saying things like, “hello sweetheart”, “what are you feeling, and what are you wanting” when first encountering each other are good ‘checking out’ strategies. Then a truthful response and acceptance if there is a difference in a loved one’s psychological place. Next comes working to synthesize desires. Maybe for Sheila and Kim they plan an hour of rest and cuddling, after which something more playful might occur. Maybe they try flipping a coin to see who gets their desires met first. There are lots of other ways they might proceed after starting well with lovingly checking-in with each other. The trick is to start with love and good connecting actions. Good, loving connecting actions can take less than a minute but often determine how the next several hours, or more, may go. Connecting actions allow you to express your feelings and desires, and find out about the feelings and desires of your loved one. That allows for coordination, synthesis, and ‘I win, you win’ outcomes. Lots of couples, family members and friends fall into unloving ruts, in which they are unknowingly expressing indifference to one another, in the way they start and part their encounters. Couples that once passionately kissed hello and said goodbye the same way, too often get distracted by life’s many ‘to do’s’, and then they barely say hi or goodbye to each other as they come and go. Thus, they miss-out on the energizing influence possible from their love. Yes, it may take a tiny bit more time to say hello and goodbye with more love in the message, but doing so helps avoid relationship deterioration, and keeps putting ‘emotional gas’ in each other’s tanks. When two people who love each other, take about 30 seconds or less, to really hold and kiss each other goodbye when they go off to work or wherever else they may be going, they are likely to come back together sooner and better. This is true even when they may be gone from each other for relatively short periods. Parting love also tends to make whatever they are doing next, done better. Remember, love works like an energizing, healthy food. Parting without a love-conveying-action is like going somewhere after skipping a regular meal. You may do okay enough, but with a dose of love nourishment you will be stronger. Without it, you may become easily irritable, annoyed and aggravated. Saying goodbye with a really good hug and a genuine kiss, rather than something brief and perfunctory, sets up your next time together, and is more likely to be a time of mutual enrichment. Beware of saying the same words every time; they can loose their meaning and power. Be creative with hello and goodbye words; you may see a surprised response which probably will show that your love words have been soaked-up better. Of course, if the time you are likely to be apart is going to be longer, bigger doses of love may be in order. Good loving goodbyes also tend to help ensure your love bond with each other will stay strong while you are apart. ♥ Love Success Question: If you think you don’t ‘start and part with love’ well enough, have you figured out what might be stopping you, and what you are going to do about that?